Winter pansies are the same species as the summer flowering varieties but the universal strain has been bred to withstand low temperatures. 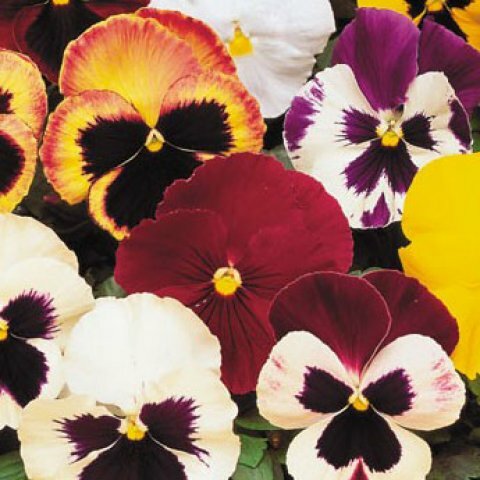 Pansies are round-shaped flowers with five petals, and their blooms have long been said to resemble human faces. 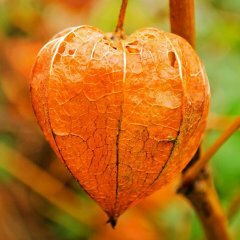 They have slender, delicate stems, with leaves clustered mostly at the bases of the stems and they will bloom for up to for up six months. 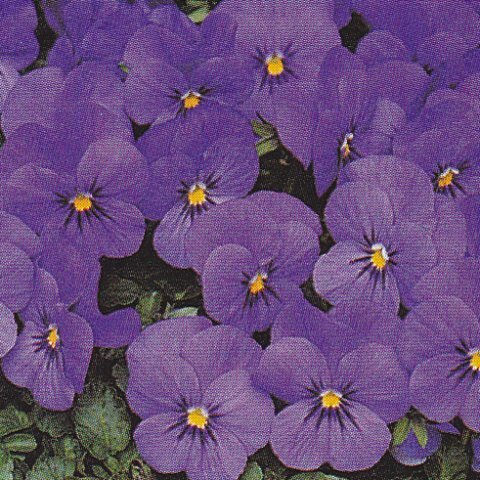 Cultivation: plant your pansies in your window box using John Innes multi purose compost in early to mid autumn, before the first frosts. Keep the compost moist but do not water log the compost and trim off the faded flowers to prolong flowering. 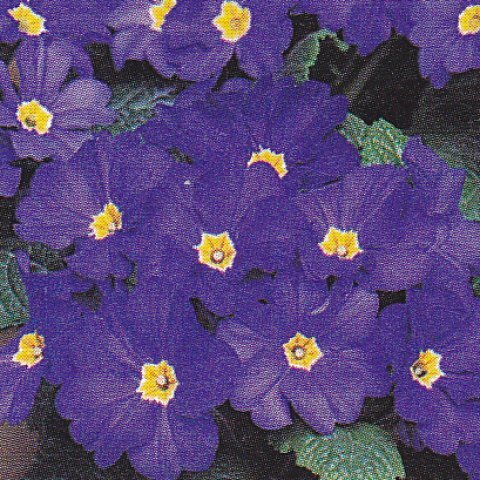 Very early flowering evergreen perennial producing violet blue, saucer-shaped flowers with a yellow eye. P. vulgaris 'Danova Purple' Large. pale purple flowers. and site your window box in a position where they will gain maximum winter sun. Water moderately and apply a balanced liquid fertiliser once the buds are formed. Remove spent flowers to prolong the flowering period. Increase by dividing vigorous clumps in early spring. Michaelmas Daisy 'Aster alpinus' Beechwood variety is mauve and the Wargrave variety is pink in colour. 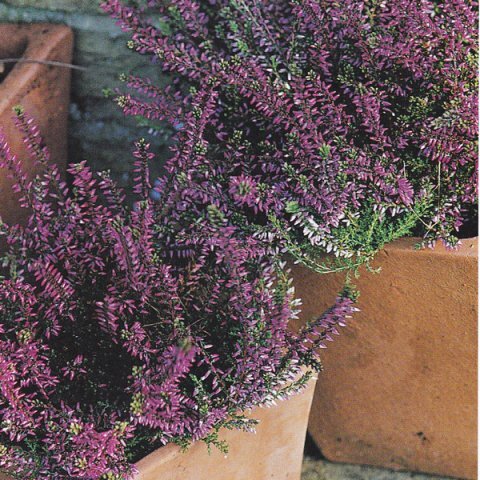 Cultivation: plant in Autumn or spring your window box in a sunny position. The compost should be multi purpose and well drained. Do not allow the compost to dry out while the plants are in flower and give a liquid feed once a week while the plant is in flower. Low-growing perennial, usually treated as an annual. It produces large, velvety, dark purple flowers. This pansy will continue to flower throughout winter in mild spells. V. x wittrockiana 'sorbet Blue Heaven' Violet blue flowers. V. x wittrockiana 'Ultima True Blue' Violet-blue blooms with a yellow eye. compost and site in sun or light shade. Water freely during dry spells. Remove any dead flowerheads regularly to prolong blooming. May be damaged by slugs and snails. above a ruff of divided leaves. planting 5cm deep in humus-rich compost. 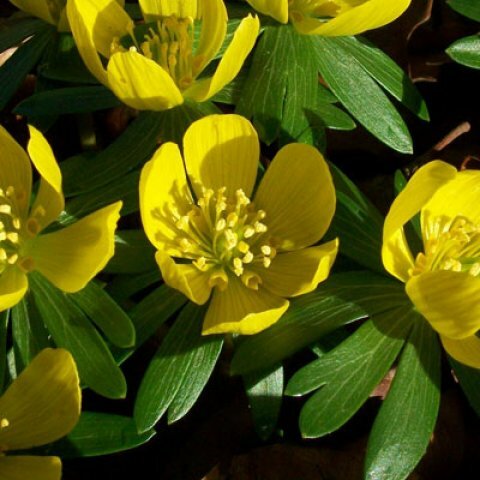 Or plant eranthis in leaf in spring. Site in sun or partial shade. Allow tubers a period of dry dormancy in summer. Compact, bushy evergreen shrub with small, bottle-green needlelike leaves and pale pink, bell-shaped flowers carried in clusters al the lips of the shoots. tipped with cream in spring. Cultivation: Plant in autumn in window boxes of humus-rich compost (the ericas mentioned here do not need ericaceous compost). Site in full sun. Water freely and apply a weak liquid feed every four weeks. Clip the flower spikes back once they are past their best. Botrytis (grey mould) may develop in warm, humid conditions.